While the above pictured building might not seem to be an outright architectural marvel from the elevation perspective, it is what is inside that matters. 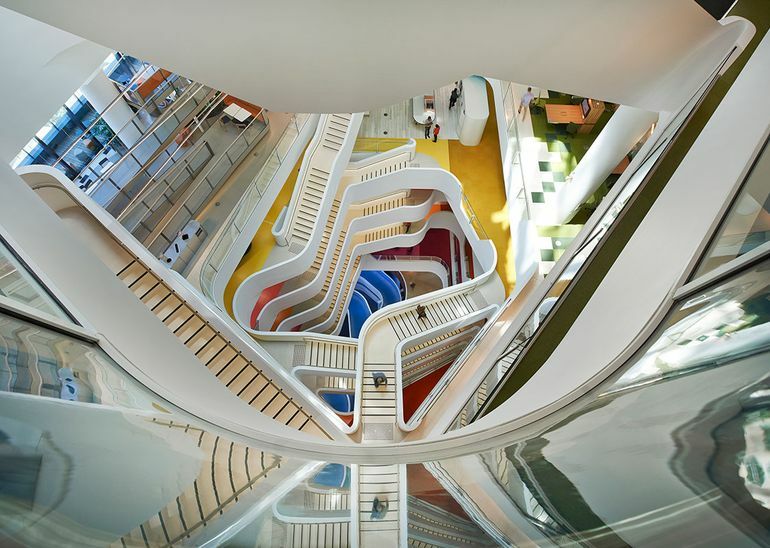 To that end, the new (one-year old) headquarters of Australia’s largest health insurer, Medibank, might just notch it up a level when it comes to the scope of employee healthiness. 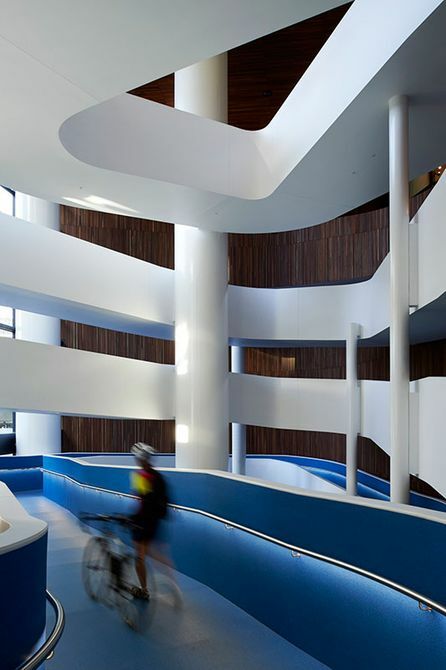 The design (located in Melbourne) by Hassell Studio embraces what is called the Health Based Working or HBW (as opposed to Activity Based Working) – which gives preference to the mental and physical health of the users. This design principle is translated in practical terms to what can be categorized as 26 different work-environment settings that employees can choose from. These range from private quiet places indoors and WiFi-enabled balconies to busy hub sections with greater user circulation. Other employee-oriented features include a multipurpose sports court at the ground level (for working out), an adjacent garden with healthy edible produce, and a circadian lighting system that mimics the daylight patterns thus keeping in pace with the bio-rhythm of the users. 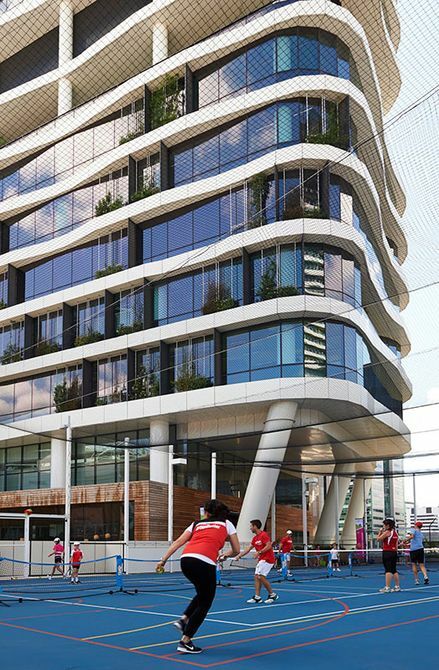 Such health-focused attributes are passively bolstered by the main entrance to the Medibank building that connects to an upward ramp – for easy bike storage on the way to the offices. According to the architects, such nifty design measures provide a symbolic as well as practical framework for the employees to affirm their healthy side. 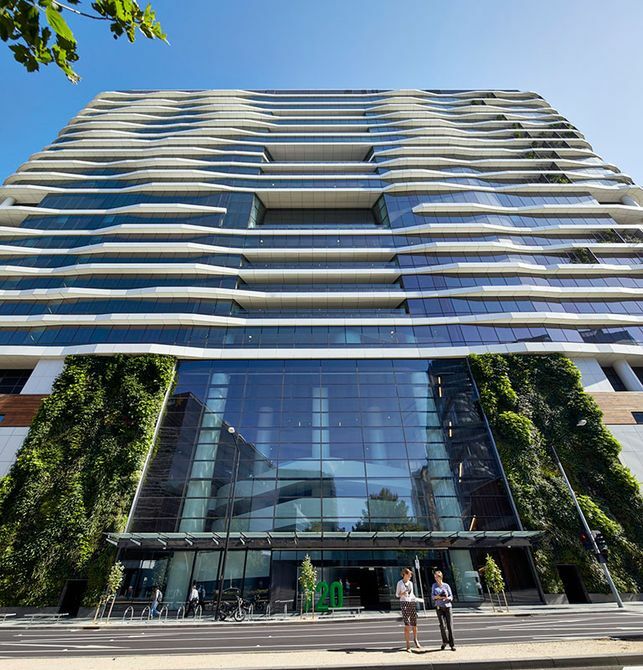 Now beyond such spatial and lighting aspects, the ‘piece de resistance’ of the new Medibank building arguably relates to its ambit of literal greenness. To that end, the structure boasts of over 2,300 plants inside, complemented by 520 shrubs in modular planter boxes that are arrayed against the facades. This verdant scope is finally given a flourishing finish with two 25 m (82 ft) high green walls that proudly face the street. Early signs show that the building is already delivering. 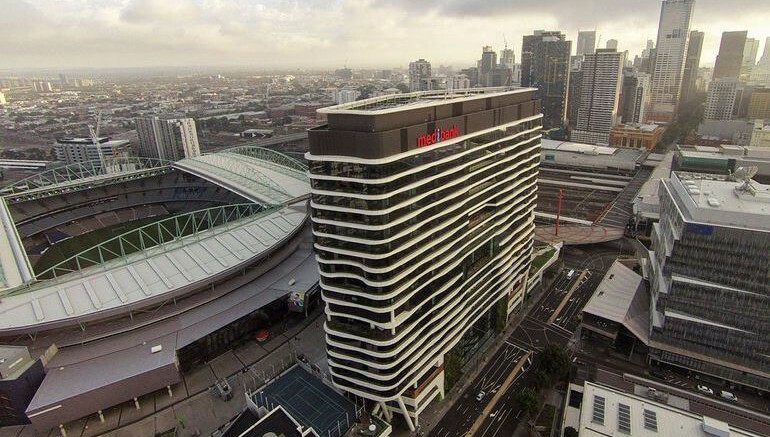 Four months after moving in, 79% of employees reported they were working more collaboratively and 70% said they are healthier working at Medibank Place. 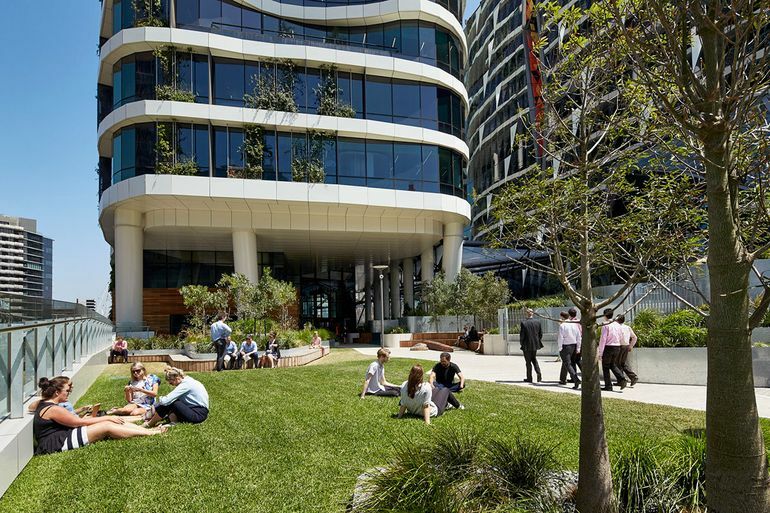 What’s more, 66% of employees said they were more productive at Medibank Place and the call center saw a 5% reduction in absenteeism. And, in case you are interested in the “world’s greenest office building”, do take a gander at Deloitte’s new headquarters at Amsterdam.